ATLANTA (Sept. 24, 2018) – With influenza season around the corner, Children's Healthcare of Atlanta is urging families to get vaccinated to be protected from the flu virus this year. For optimal protection, Children’s recommends everyone receive their flu vaccination by the end of October 2018. Seasonal flu infections were associated with 179 pediatric deaths and more than 30,000 hospitalizations nationwide during the 2017-2018 influenza season, according to the CDC. Everyone 6 months of age and older should be vaccinated annually against influenza. Children younger than 8 years may need two doses of flu vaccine to be fully protected from flu. The two doses should be given at least four weeks apart. If the child has received two or more total doses of flu vaccine during any previous influenza season, they will only need one dose during this season. The child’s doctor or other health care professional can tell parents or guardians whether a child needs two doses. To better understand flu symptoms and when to seek health care, please visit choa.org/flu. To find out where flu shots are available, please visit Healthmap Vaccine. As the only freestanding pediatric healthcare system in Georgia, Children’s Healthcare of Atlanta is the trusted leader in caring for kids. The not-for-profit organization’s mission is to make kids better today and healthier tomorrow through more than 70 pediatric specialties and programs, top healthcare professionals, and leading research and technology. Children’s is one of the largest pediatric clinical care providers in the country, managing more than one million patient visits annually at three hospitals, Marcus Autism Center, the Center for Advanced Pediatrics and 27 neighborhood locations. 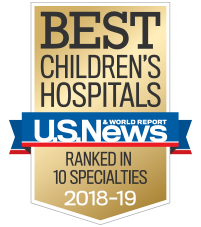 Consistently ranked among the top children’s hospitals by U.S. News & World Report, Children’s Healthcare of Atlanta has impacted the lives of kids in Georgia, across the United States and around the world for more than 100 years thanks to generous support from the community. Visit www.choa.org for more information.